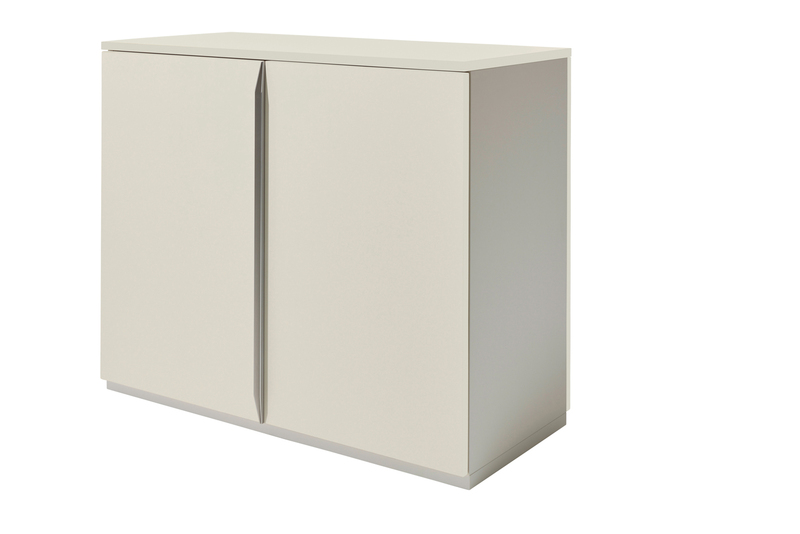 Modular16 by designer Rolf Heide is a puristic chest of drawers and wardrobe system with unmistakable aesthetics. The clear lines, the harmonious interplay of the elements and the special details give the furniture its unusual appearance. The high-quality anodised aluminium handle emphasises the unmistakability of the design. Modular16 chest of drawers convinces by their high quality workmanship and their variety. 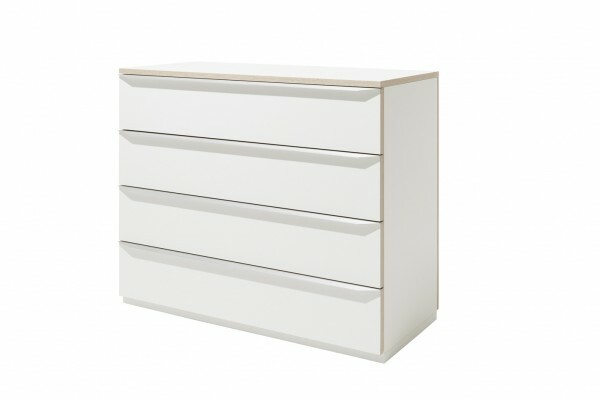 The Modular16 chest of drawers can be ordered in 3 different versions, two doors, two drawers or four drawers. In addition, the chest of drawers are available in nine different colour variants so that the corresponding variant is available for every furnishing set. Current Technick in classic design. 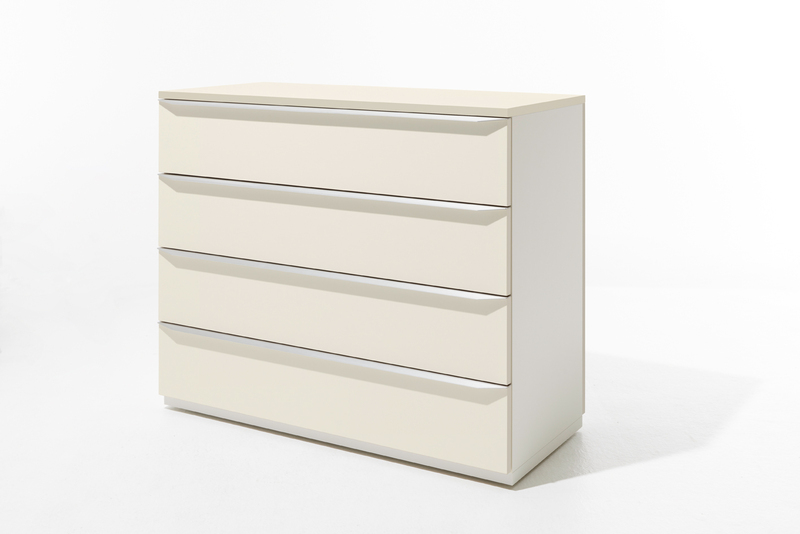 All drawers are equipped with self-retracting, shock-absorbing full-extension pull-outs. The two-door version is equipped with all the doors are cushioned. All drawers and doors close quietly and elegantly.